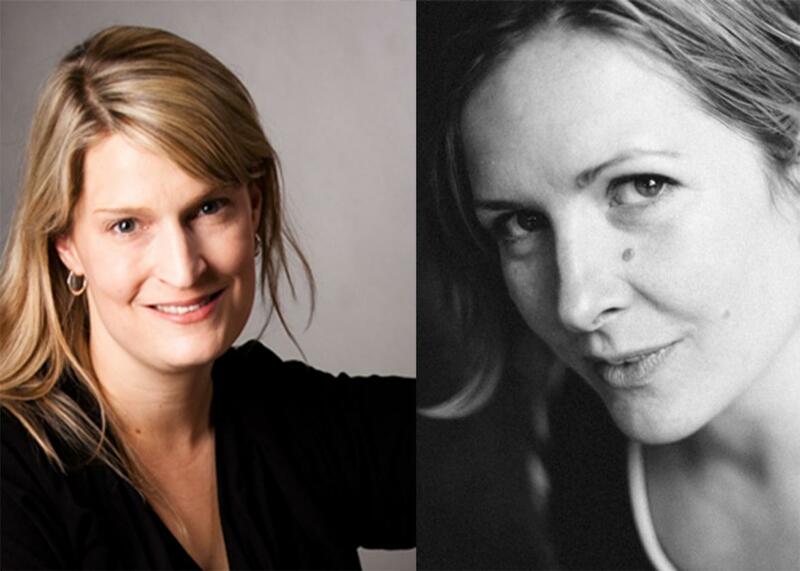 Maggie Dietz and Tess Taylor, poets of the everyday, reviewed. Poets Maggie Dietz and Tess Taylor find the astonishment in everyday life. Maggie Dietz and Tess Taylor. Photo illustration by Slate. Images by Beth Anderson and Meghan Moore. Poetry has long courted the ordinary, and the marriage of the two has strategic value for each: Poems, with their frequent aspirations to be extraordinary, gain credibility from the language and images of our seemingly plain days, and that which makes up the majority of our time is dignified by the harrow that cuts and cultivates, the lines that aspire to something stranger and stronger than use. “The light is constant,” writes John Ames, the small-town minister in Marilynne Robinson’s Gilead, reflecting, with characteristic humility, on the eccentricity of earthly time. “We just turn over in it.” While important poets have invested in the apparently unremarkable details of city life, it’s in rural spaces, small towns, and the suburbs that emulate them that our constant turning over feels definitive. In two new second books, Maggie Dietz and Tess Taylor, both white American women, both adept in traditional meters, make poems of the days in such places and the desire to create something while there. a little burst of joy when the sun cleared a cloud. It was fricking Christmas, and I was five years old! I had. But who wants to be that kind of happy? The lenses, the doses. Nothing should be that easy. TV’s ricochet light behind pulled curtains. his finger bulbs so that he couldn’t see the whorls. scrubbed beneath the child’s transparent nails. the grid of roads dividing fields from fields. Those repetitions—“deer” popping up three times, in three different forms; the two “streetlights” rhyming awkwardly in the second stanza; the almost random division of “fields” from “fields”—collude with the persistent verging on a complete sentence, the frequent shifts in tone, syntax, and significance just after a break. The first real verb doesn’t come until the ninth line, when the narrative is interrupted by a different subject (her grandfather’s death) and a different voice (presumably his). The deer come back, “spirits drifting, foraging, so many / souls of the damned,” a peril to the couple driving late at night on underlit roads. Notably, and characteristically, those same animals also introduce beauty into the too-predictable order of the characters’ lives. the picked bones in the ocean. here where nothing doesn’t hurt. white crows here rode them. night layered on the sand. Beyond this, the constellated light-map. Then you burn the paper, watch its turquoise flame. This is my time on earth. Taylor’s awareness that neither the small organic farm nor her writer’s cabin represents the world at large intrudes frequently, as with the oil-tankers, meth, terrorists and disease above. But those intrusions rarely seem as credible as the spacious “not always” she lifts off into there at the end, after the first “This is.” The initial “this” might take as its antecedent all that has preceded it in the poem, but it seems more likely that it looks ahead to the thinking that follows. The second “this” feels larger. It seems to mean oil rigs and injustice only incidentally; the real focus is on the majesty of one life in which those things can seem, however briefly, beside the point. It’s a risky turn, and you can hear Taylor’s awareness of the risk in that hedge—I don’t always think this way. Such a shifting in scales can be a too-easy source of absolution for the destruction our lives entail and overlook. But just as we wound, we are wounded, too, and the awestruck ability to stand inside the vastness of a history in which even all of human achievement is small is part of what allows us to heal. did not grow, did not even sprout. I admire everything about this, including the “& yes, I know,” which in its reluctance to deal with the world beyond her immediate experience feels like a truer acknowledgement of that world. It’s a reminder that our smallness is sometimes petty, the unwelcome gravity of others’ suffering distending her grief. Yet her declaration that “I bow into absence” feels like a genuine flowering in the midst of all this, as does the terrible richness with which she describes absence in the lines that come before. On the grill, veal. On the board, tender cow. On the roast pig’s black nose, drugstore sunglasses. Boys toss on a scrap pallet. Light flares on our faces. to savor each other in corn rows, in darkness. It’s wonderfully carnal, that savoring that carries all the way into darkness. And it is, in some ways, a return to the small poem she opened with: “your life is short. / To miss even this springtime / would be an error.” The opposite of error, here, is not correctness—it’s life, and the hunger for life, for the vegetables that turn dark soil and the day’s light into sweetness and the animals that turn sweetness into their own sacrificial selves, and for our own conversions, too, the slow, brief blooming of the ordinary in the always arriving, more-than-earthly light, as we encounter it on Earth. That Kind of Happy by Maggie Dietz. University of Chicago Press. Work and Days by Tess Taylor. Red Hen.